Are you hunting for a Georgia Commercial Truck Insurance Quote? You have come to the right place. To get the best price on your semi truck insurance you need to get multiple quotes. 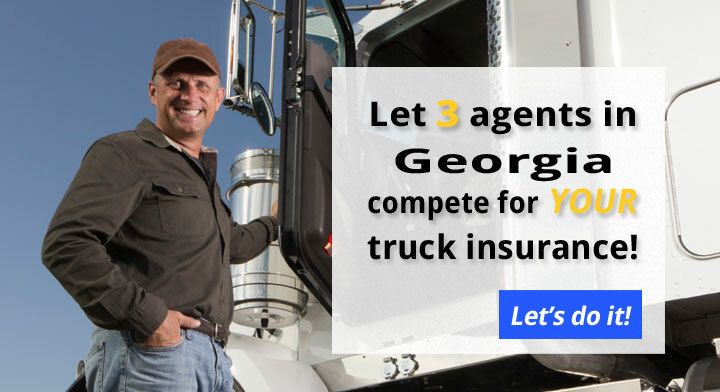 Let us help by bringing you three Georgia Truck Insurance Agents that will compete for your business. Fill out one short online form and you’ll get three competitive quotes from three top agents in GA. Easy! When you fill out our short and easy form online, we will have three agents in Georgia competing for your business. The GA truck insurance agents know they are going head to head with each other and will not waste your time with overpriced and bloated policies. With 3 policies to choose from, you will be able to quickly discover the best policy at the best price. There is never an obligation and our service is always free for you to use. 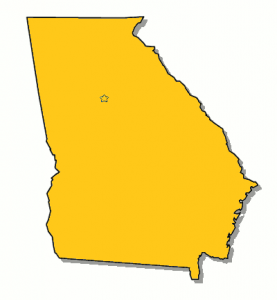 Don’t waste time tracking down three Georgia agents, let them come to you. 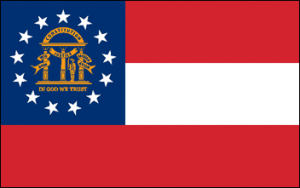 Georgia and the FMCSA have specific insurance requirements for semis. Some coverages are mandatory, like primary liability. Others, such as physical damage truck insurance and bobtail coverage, are just smart to have. The insurance requirements for truck drivers who do cross state lines are more detailed. You must meet the above, and you must be in compliance with all the DOT truck insurance requirements recommended by the FMCSA. Most federal liability limits are between $750,000 and $1,000,000. Between the peaches, two deep water ports and two river ports there is a lot to haul in Georgia. With operating costs rising, it makes sense to lower your overhead as much as possible. We are here to help you do that by driving down the money you spend on tuck insurance. Get 3 quotes and whether you are snoozing in the pickle park or relaxing with the family you can be assured you are getting the best deal on your truck insurance. What have you got to lose? Let’s get started.